Soul Eater is a manga/anime series that hosts an array of different characters that will grab and immerse you in its world. There are teenagers that can pack a wallop in combat, partnered with humans that can transform into powerful weapons. What more could you ask for? Maka is your typical straight-A student — driven and determined to be the top of the class and always looking to become the best. Maka grew up with her father, Spirit Albarn and her mother. She once had a healthy relationship with her father, he would often read her books, which lead to Maka's love of reading. Until she noticed her father's constant flirtation with other women, which eventually resulted to her parent's divorce. This developed a rift between the two. 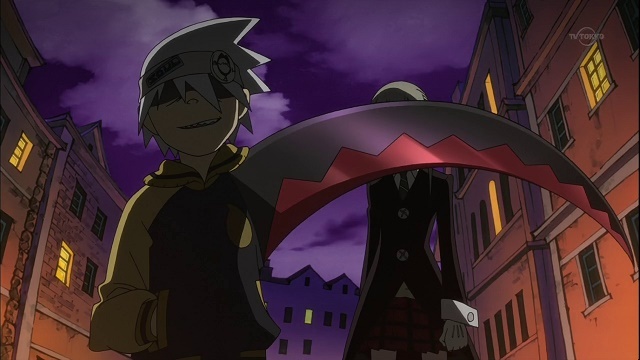 Her hatred towards her father would later drive Maka's obsession to make her partner, Soul Eater, into a death scythe more powerful than him. It also led Maka to looking up to her mother as a source of inspiration, as she aspired to become a powerful Meister just like her. 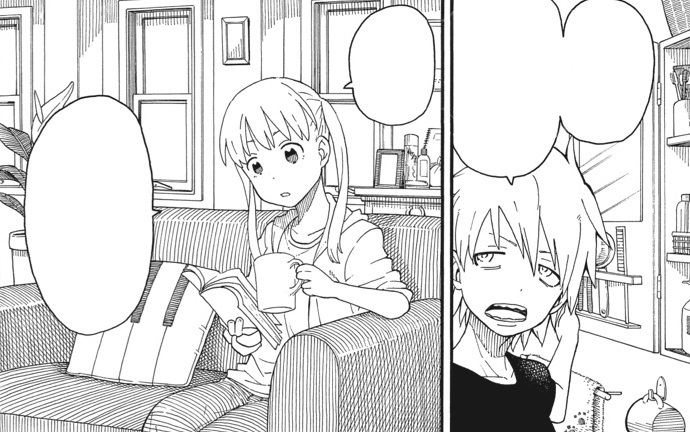 Maka differs from the other students in the series as she often chooses to stay at home and study instead of going out. She lacks skill in even the simplest of games, such as basketball, as she has a hard time grasping its mechanics. Maka is a very compassionate and caring person, and always puts the welfare of others above her own. She is known to strictly follow the rules of DWMA (Death Weapon Meister Academy) — even if it means risking her own life. When she sets her sights on a goal she does whatever it takes to achieve it, a level of focus and determination she inherits from her mother. 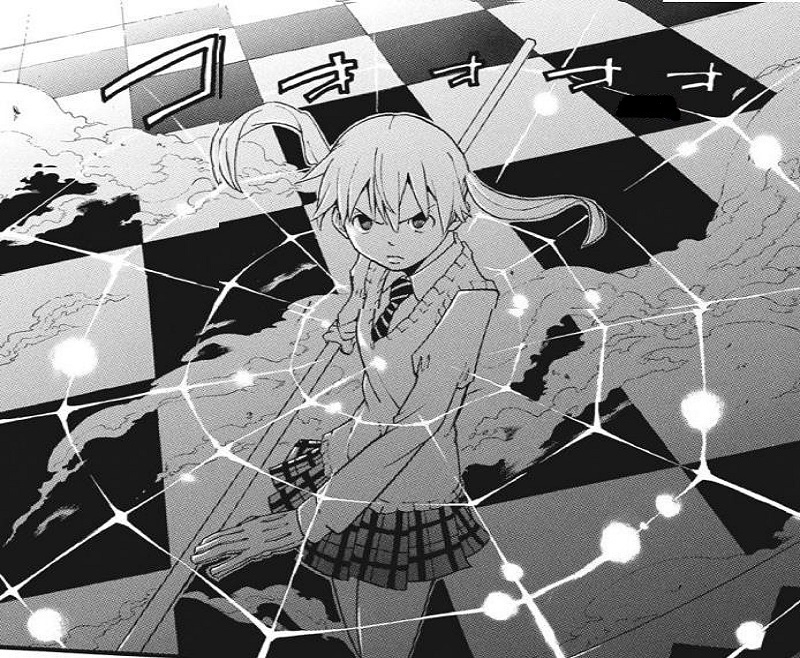 One of the most powerful characters in the series, Maka’s skills and abilities come in handy during combat. Even at her young age, she is already a skilled Scythe Weapon Meister. With her knowledge of Soul Perception, she is also able to sense the souls of the living. 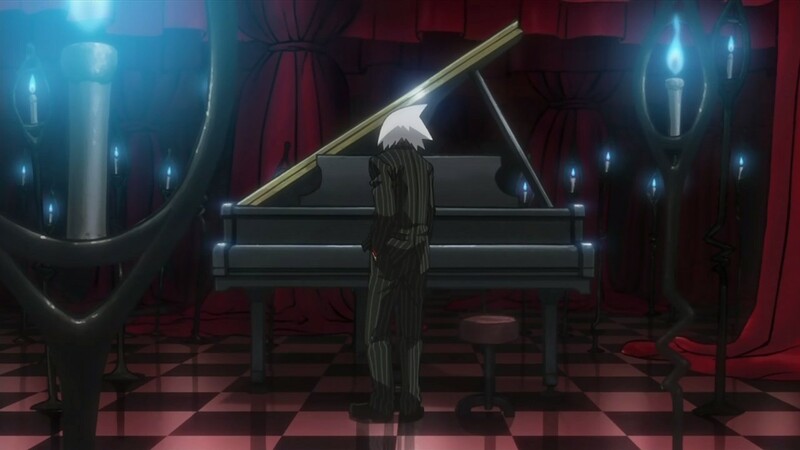 Maka also possesses a "Grigori Soul,” a special soul type that only one in fifty million people have. When it works together with Soul Eater, Maka and her partner can fly so long as they can both focus on the image of angel wings during Soul Resonance. 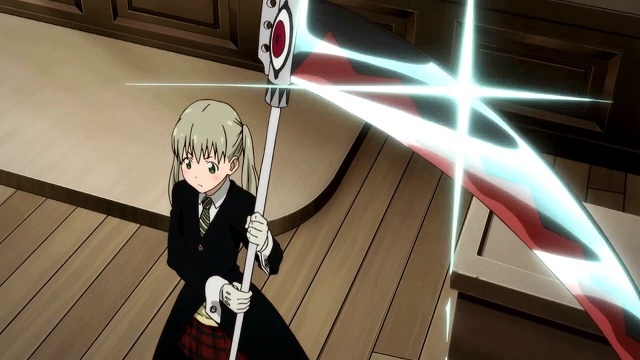 Through the course of the series, Maka develops her powers and abilities fully. Despite being a Scythe Meister, she is also proficient in other weapons. Her physical prowess enables her to fully utilize her scythe-wielding abilities alongside hand-to-hand combat in battle. Her high-level intellect is also a plus in combat, together with her knowledge on Soul Wavelengths. 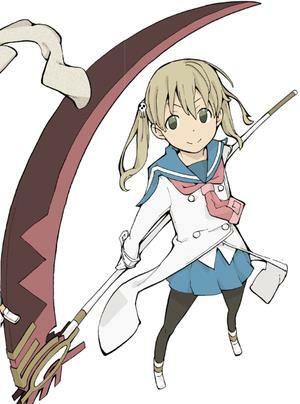 He is the impulsive, gluttonous, and immature Demon Weapon of Maka Albarn, formerly of the Evans, a family of famous musicians. After discovering his abilities as a Demon Weapon, Soul parted ways with his own family to join the DWMA. 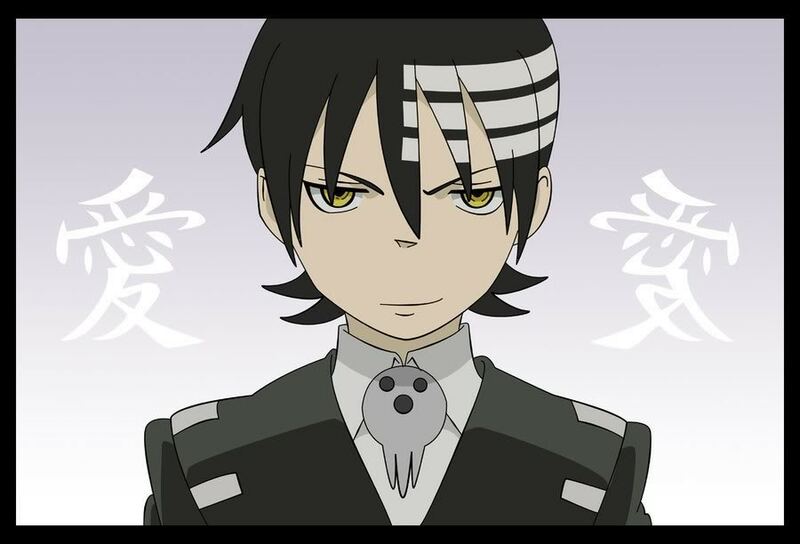 He is partners with Maka, a Scythe Meister, who he shares little resemblance in terms of personality. Despite their difference both students work well with each other, and their partnership developed to the point where both of them became a part of E.A.T (Especially Advanced Talent) class, where Soul become known as "Death Scythe." Being born of the Evans family, Soul grew up in an extremely wealthy household. He is skilled at playing the piano, but always felt inferior to his brother, Wes. Soul becomes hesitant in showing his talent, knowing his brother would always be better than him. Soul finally found a way to escape his family when he discovers that he is a Demon Weapon. He chooses to leave the comfortable life with his family in order to pursue the path of a Death Weapon. 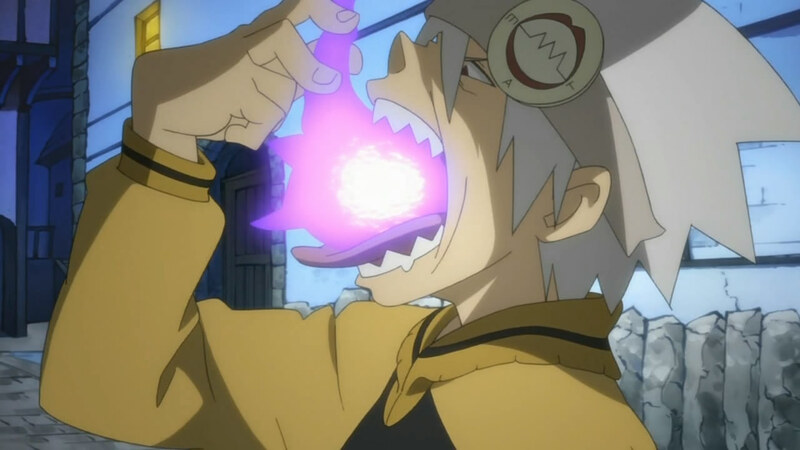 Soul Eater, as his name suggests, is fond of eating souls. 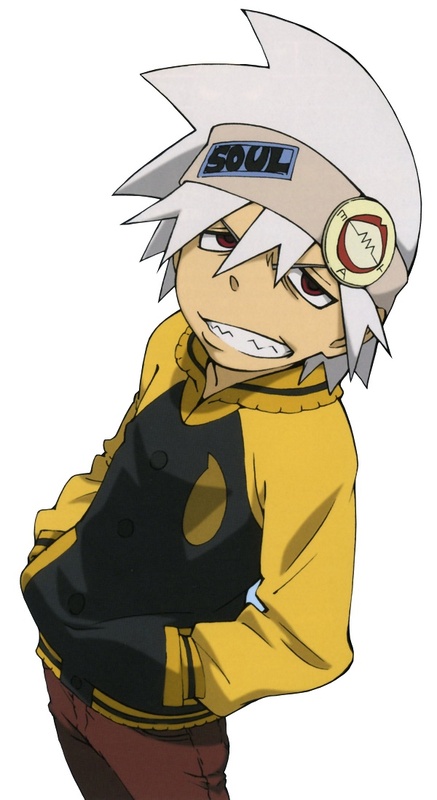 The mere though of eating another soul is irresistible to him and it’s this drive that leads to arguments with Maka. 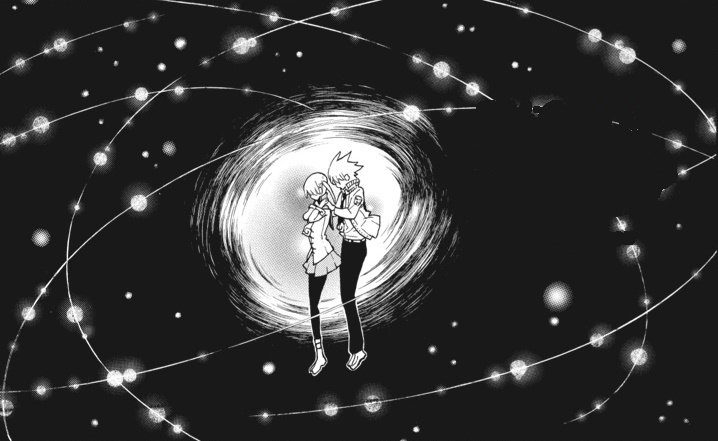 Despite their contrasting personalities, Maka and Soul work well together and have a strong partnership. 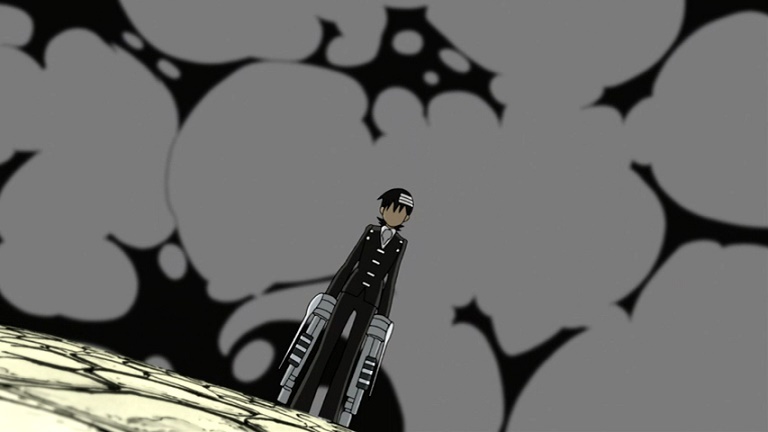 Soul deeply cares for his friends, and does not hesitate to risk his own life to save his partner Maka. He is often immature and impulsive, but he is a quick-thinker who is able to make plans and strategies on a whim — a crucial skill in battle. Though typically cool, laid-back, and nonchalant, Soul has a weakness for women. He once had a literal nosebleed when he saw Blair naked. As a weapon, Soul transforms into long-handled scythe. Soul can morph parts of his body into his weapon form — part or the whole of his arm can turn into a scythe so he can fight more easily. 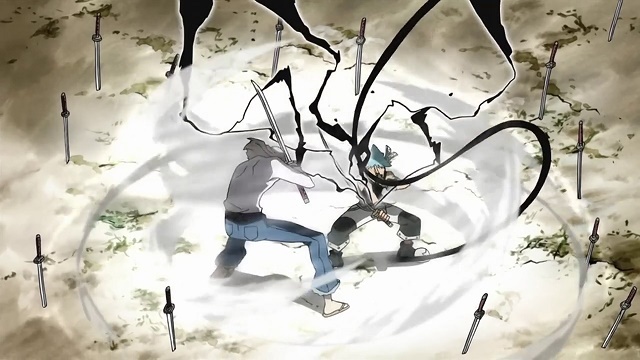 Although he can transform himself into his scythe form, Soul lacks the speed and blade skills to fully utilize it in battle, greatly reducing his effectiveness in combat when Maka is absent. Soul's combat expertise is not limited to his cunning or weapon transformations – he also exhibits strong will power, refusing to give up a fight even if he's greatly injured. He is also capable using Maka's Soul Perception during Soul Resonance to sense souls just as Maka can and he is shown to use his own abilities with Maka's Anti-Demon Wavelength to give them an advantage in combat. Soul can use his musical talent when in Soul Resonance with others, playing their soul like musical notes of a piano to greatly enhance their power. He is possibly the most powerful student in DWMA. The symmetry freak, son of Death, and Weapon Meister of the Thompson sisters. 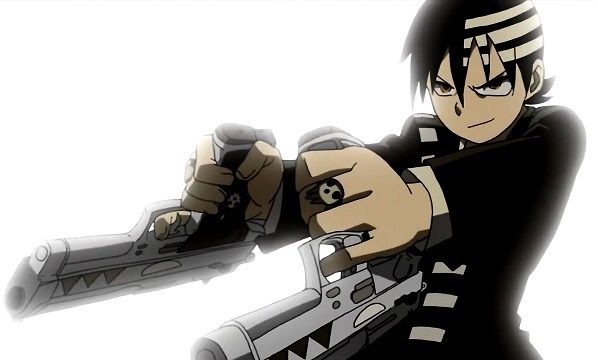 Death the Kid, is the second son of Death created from a part of the Shinigami himself. Being the son of Death, Kid is an extremely powerful being compared to the other Meisters in DWMA, as he exhibits god-like powers and natural expertise in combat. He is obsessed over symmetry, a trait he inherited from his father's Madness of Order. Kid's obsession leads him to choose the Demon Twin Guns Liz and Patty Thompson as his weapon partners, as he sees their matching weapon forms as a way to keep symmetry. The choice comes at a price — if one of the sisters is missing, Kid is unable to fight. Being a shinigami, Kid doesn’t need to collect souls or even attend DWMA, but still chooses to, wanting to make his own path and create weapons of his preference. Kid's status as a God of Death and his natural expertise in combat makes him one of the most powerful characters in the series. He is one of the top students in DWMA and on top of that, his body's unique physiology makes him immune to toxins and allows him to heal faster compared to normal humans. Despite his many godly features, Kid still shows humility in his abilities and sees himself more of a human than a god. The three prominent white lines on Kid's hair are called "The Lines of Sanzu," which Kid dislikes because they are asymmetrical. But these lines are key to unlocking Kid's true potential. 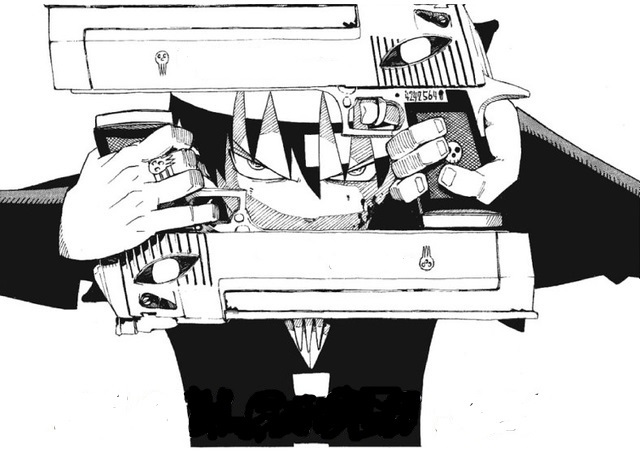 In addition to being proficient with guns and his numerous shinigami powers, Kid also uses a special martial art called "Death God Taijutsu," a technique that uses the speed and agility of the user to overpower their opponents the use of this combat style allowed kid to easily dominate Black☆Star in a fight. His natural skills for guns comes in handy since the Thompson sisters’ weapon forms are pistols. Instead of using normal ammunition, his weapons can compress his Soul Wavelength, using it as energy bullets for his attacks. Whether in long-range or short-range combat, Kid can use his gun-slinging and hand-to-hand combat techniques effectively in battle. Kid’s marksmanship is developed enough for him to easily hit moving objects, while at the same time dodging attacks. His Soul Perception gives him the ability to sense the souls of others, easily telling people apart by looking at their souls. You have the intelligent and resourceful, but cynical Liz Thompson and her younger sister Patty Thompson who isn’t as smart, but is energetic and always manages to be cheerful in the grimmest of situations. The sisters grew up on the streets of Brooklyn, New York after being abandoned by their mother at an early age. Because of their mother's abandonment, the twins depend heavily on one another caring only about themselves. The two did whatever it took to survive, which eventually led them to the criminal world. Their criminal exploits in the streets and alleyways of New York made them known as the infamous “Thompson Sisters.” They’re known to mug unsuspecting civilians in alleyways, even finding themselves in trouble with the local mob from time to time. At first they joined Kid in order to fuel their own selfish wants, exploiting Kid's wealth and prominence as a shinigami, but they eventually outgrew their greed as their partnership with Kid developed. The sisters take on a weapon form of identical semi-automatic pistols, which draws Kid's Soul Wavelength and compresses it to produce energy bullets of varying strength and effect. The bullet's power can range from big destructive blasts to painful but non-fatal shots. If Kid is absent, both sisters can act as Meisters for one another. They exhibit different levels of marksmanship — Liz is more proficient and skilled than her sister Patty, whose shooting style can only be described as chaotic and inaccurate. Patty is also shown to be really skilled in hand-to-hand combat, being able to take on many opponents by herself without breaking a sweat or losing form. 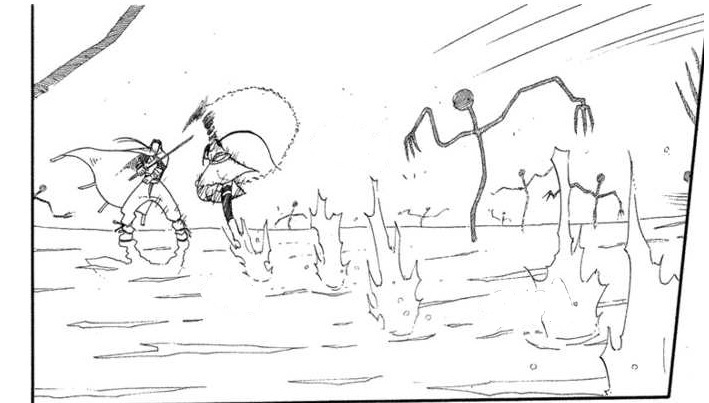 She is even noted to be stronger than Maka in physical combat. The sisters have developed great Soul Resonance with Kid, allowing them to perform powerful attacks and abilities. By entering Execution mode, they can transform into a Death Cannon, a more powerful version of their weapon form capable of shooting large energy blasts at their opponents. 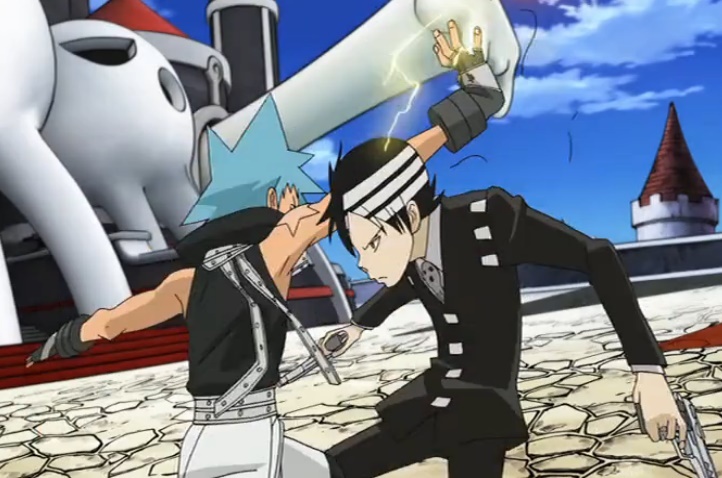 One of the main powerhouses in the Soul Eater series and the Weapon Meister of Tsubaki. 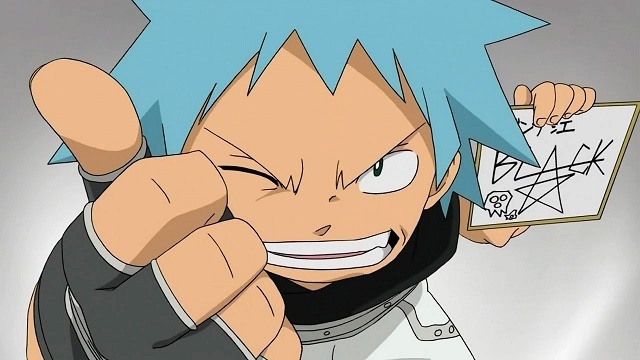 Although he’s an assassin, Black☆Star is loud and boisterous in combat, a direct contrast to the "stealthy" way a ninja assassin fights. A real attention-seeker, Black☆Star always wants his presence to be known, even to the point of beating up people that upstage him. He strongly believes that he is destined to become the most powerful being alive, which leads him to push his physical limits. As a result he is the Meister with the most raw power in the series. Even when unarmed Black☆Star is extremely dangerous, capable of using techniques that channel his own Soul Wavelength to increase his strength allowing his physical attacks to hit harder. He is one of the last remaining members of the "Star Clan," a family of ninjas infamous for being hitmen. The Star Clan was wiped out by the DWMA, which subsequently took in Black☆Star as an infant. Black☆Star is arrogant of his abilities and has shown to have a superiority complex towards others, often thinking that he is stronger than most. 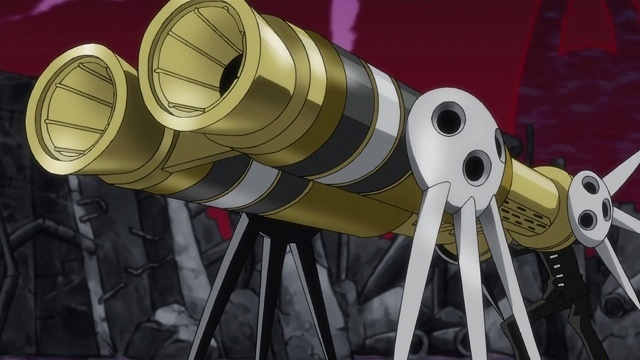 It eventually grows into an obsession to become more and more powerful, reaching a point where some fear he might choose the "Path of the Demon" and spiral down a road towards becoming a Kishin like his father, White Star. Though already an extremely skilled student, Black☆Star grows even stronger throughout the series becoming one the most powerful characters to date, due to his extreme determination and natural expertise in combat. 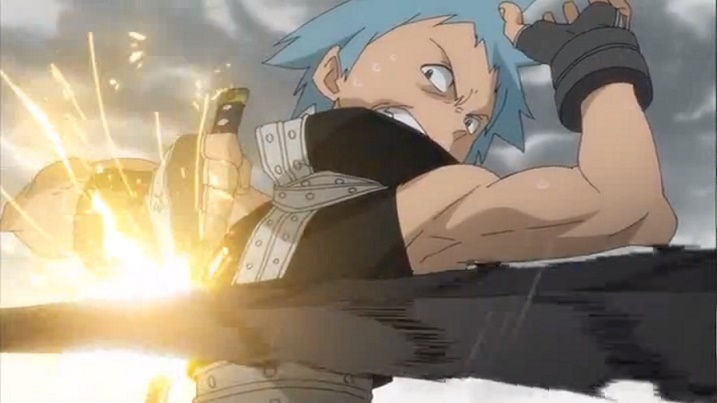 Black☆Star stands out from most Meisters in the academy because of his expertise in martial arts. His skills in hand-to-hand combat make him deadly even without his weapon partner, Tsubaki Nakatsukasa. He uses his strength and raw power in combat to easily defeat his opponents. 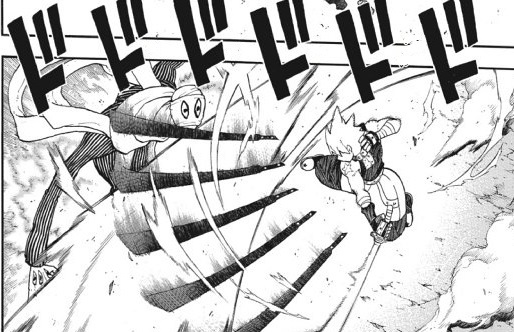 But his power and strength weren’t a match for Kid's speed-oriented fighting style. 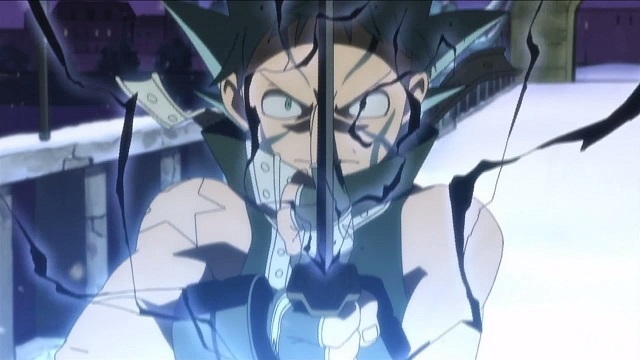 As much as he is a skilled martial artist, Black☆Star is also extremely adept in the usage of weapons, particularly Tsubaki’s weapon forms which are based on ancient Japanese weaponry. He would go on to master many sword-fighting techniques, putting him at par with other powerful antagonists in the series. 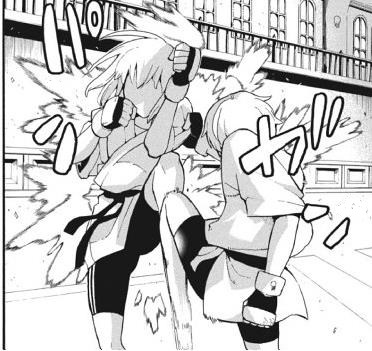 Later on, his strength in combat makes him a fair match against one of his own teachers, Franken Stein. 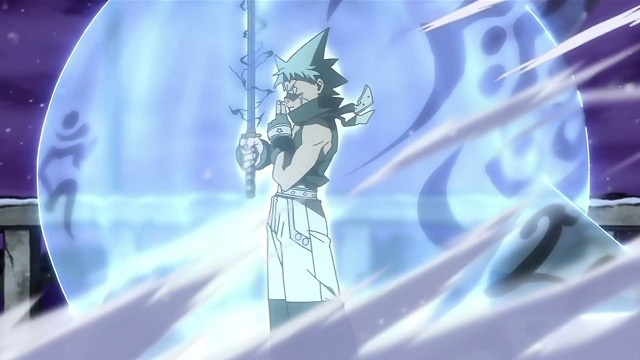 Black☆Star carries an extremely strong Soul Wavelength which enables him to effectively use it as a weapon, yet another trait which makes him an excellent combatant. This also allows him to create special moves that are devastatingly powerful in combat. 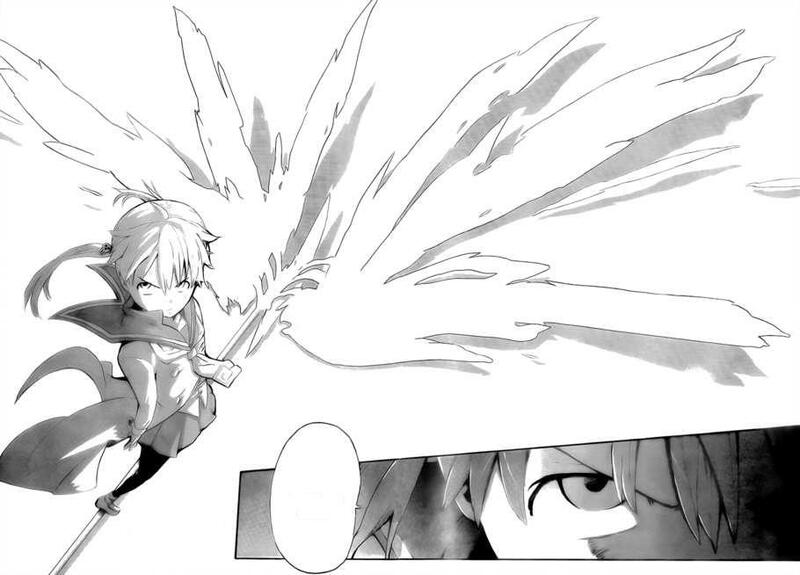 His power eventually develops to a point where he can be considered an equal to Death the Kid, who‘s essentially a god. Tsubaki is the Demon Weapon partner of Black☆Star and a member of the Nakatsukasa Clan, a family of famous Japanese Demon Weapons. Her clan holds a special trait, in which one family member from each generation has the ability to transform into multiple weapon forms. Tsubaki being the chosen one from her generation much to the dismay of her brother, Masamune. 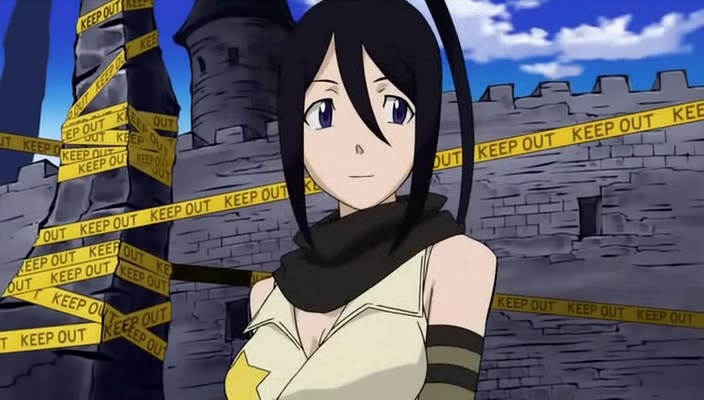 She later partners up with the assassin student, Black☆Star. Both have a healthy relationship, despite having wildly different personalities. Tsubaki often acts as a mentor or teacher to Black☆Star, scolding him when he does something wrong and even helping with his homework. She deeply cares for the well-being of her partner, even ignoring Black☆Star's orders when she knows it could get him in danger. 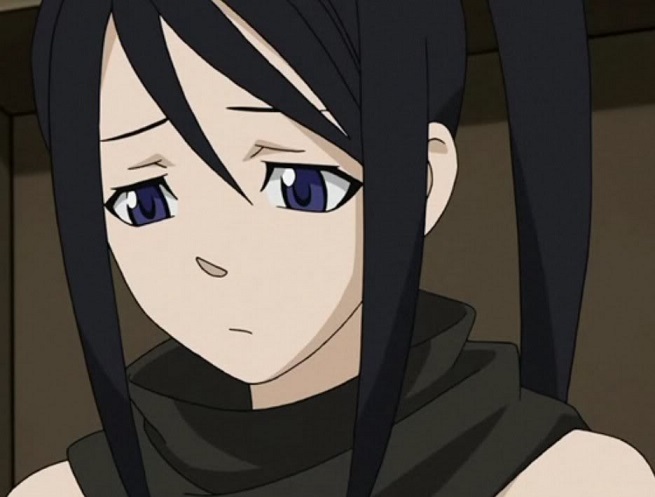 Being one of the oldest characters in the main cast, Tsubaki is the most mature among them. She and Maka have similar personalities, both being levelheaded and practical. She is very caring and polite and does her best to help others when in need. But her kindness has its limits, and a fiercer side of her emerges especially when her partner does something inappropriate or disrespectful. Her soul is very kind and accepting of other people and her understanding nature allows her to see the good in others, even when most can only see negativity. This makes her a really good fit for Black☆Star, despite his arrogance Tsubaki sees the good in him and believes that deep down inside her partner is a good person. Her kind and accepting nature often renders her prone to being taken advantage of, with Liz often tricking Tsubaki to do tasks for her. Compared to the other Demon Weapons in the series, Tsubaki is very athletic being able to keep up even with the likes of Black☆Star. Her athleticism has come to a point where she can easily dodge bullets. Tsubaki is a special Demon Weapon type, as she can transform into multiple weapon forms. She is known as the Demon Shadow Weapon, since all of her transformations are related to ancient Japanese-weaponry known to be used by assassins and ninjas. Her smoke bomb form can hide a Meister's movements to escape or launch a sneak attack. The Chain Scythe form can be used in long or short ranged combat to deal deadly strikes to an opponent. The scythe can also be used in multiple ways to disable or damage an adversary. 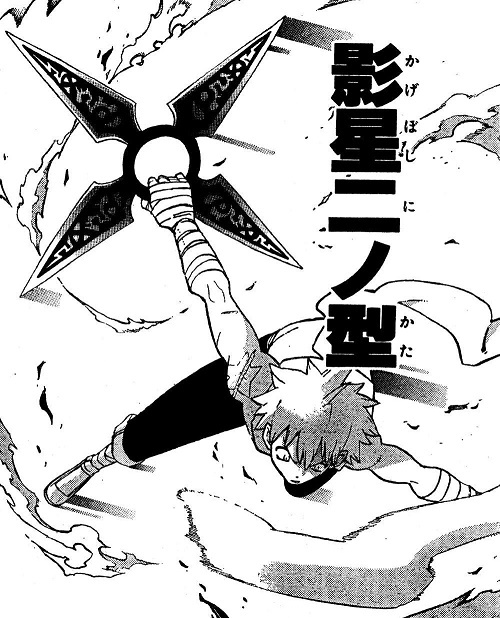 Coupled with Black☆Star's strength, her Shuriken form can be thrown at extremely high-speeds being able to cut through most objects with relative ease. 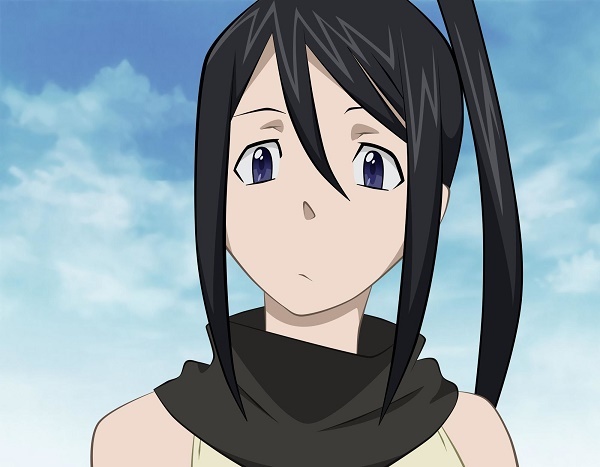 Being part of a ninja clan has served Tsubaki well, unlike most Demon Weapons of the series she is extremely skilled in fighting with the use of a weapon. Tsubaki has even defeated her brother Masamune Nakatsukasa, who is also an extremely skilled fighter with ease holding back the entire fight until its end. If you've watched InuYasha, you're probably familiar with the unique and crazy weapons present in the series. We'll take a look at all these weapons and see just how powerful and awesome they are. Out of the many weapons and abilities found throughout Vampire Knight, there is one weapon in particular that catches the viewer's eye. What is this Artemis Rod? Read on to find out more! The slums of Ergastulum provide a home for criminals, refugees, and special engineered humans. The weapons used here are an important aspect of the series. They are unique and there sure is a lot of them. Sword Art Online II stems from the virtual realities created in Sword Art Online (SAO) - Alfheim online and Gun Gale online. Both seed from one man's dream of a world free of law and restrictions. Let's take a deeper look!